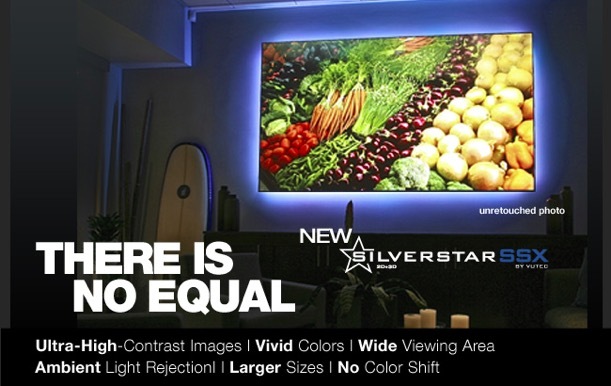 New product releases and the 2.4 software is coming in march and it has some serious enhancements! Here are some of the highlights. · Panelized lighting. Way too much information here to simplify how awesome this is! Get hooked up with all the training details asap. · Anywhere access with any remote portable device. 4G and 3G support. No switching… it’s all automatic. And the functionality comes with the service for new 4-Sight Customers and existing 4-Sight Customers. The utility of the 4-Sight Service significantly expanded with this new functionality. · Wireless Audio Bridge. An internet connected device, the Wireless Audio Bridge allows a customer to stream their favorite music from their personal device, be it an computer, iPhone or an iPad or an Android Tablet. Utilizing AirPlay and Bluetooth, also with DLNA, the Wireless Music Bridge promotes personal or sharing music experiences in the home. Available in three sizes and two beautiful finishes, the Storm Outdoor TV by Séura brings high-performance indoor entertainment to the great outdoors. 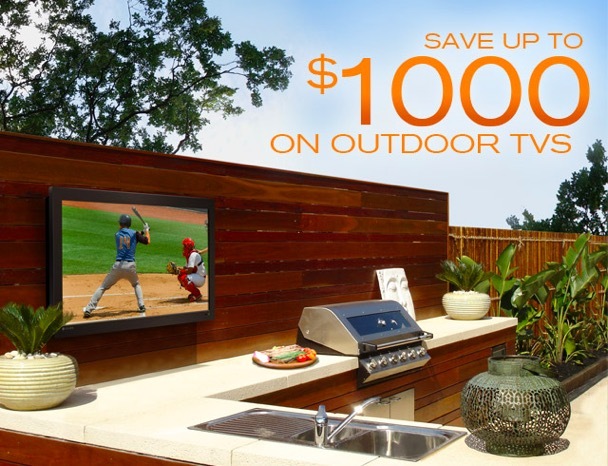 Ideal for the modern lifestyle, this Outdoor TV offers unsurpassed picture quality and superior reliability in any weather. SnapAV WattBox Now Has The Power Of The Cloud! There's nothing more frustrating than wasting time and money to roll a truck to a customer's site for a simple reset. That problem is solved with Wattbox IP+. Thanks to its self-healing auto reboot, if a router, satellite receiver or other device loses connectivity to the Internet, our smart detection technology will uncover the problem and automatically cycle the power. For those times when a manual reset is required, Wattbox IP+ Remote Access enables you to cycle power from anywhere in the world. Turn off a single outlet - or all outlets – right from your PC or Mac's web browser. And thanks to IP control, you can download popular control system drivers to get simple network-based device management at your fingertips. Visit each product’s Support Tab for more information. Advanced doesn't even begin to cover it. With Wattbox IP+ Programming & Scheduling you can create custom events, like power sequencing, and automate commonly performed functions. Does the wireless router act up over time? Automatically reboot it once a week to clear out any gremlins. Stay informed by setting up customized email alerts for key events that occur, like an auto reboot. This feature makes it easy to spot failure patterns, or just stay on top of what's happening with each system. With the ability to support multiple email addresses, alerts are sent wherever you need them to go. The supplied Wattbox Utility program takes the guesswork out of initial setup. Once your Wattbox conditioners are connected to the network, the Utility automatically detects them and provides a fast, intuitive way to configure IP addresses and launch the browser interface. DVDO Air is the only high definition wireless transmission system that works reliably across a large room with fully compliant HDMI (including CEC remote control, HDCP & 3D) and costs barely more than a high performance HDMI cable. 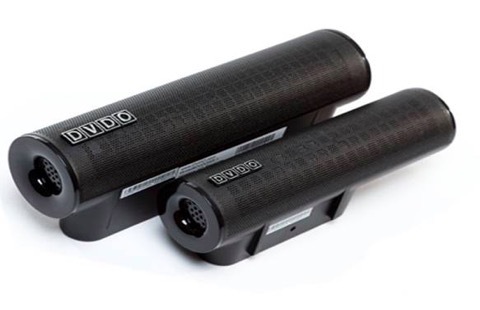 DVDO Air's 60 GHz wireless technology uses radio wave frequencies more than 10x higher than other wireless devices, such as cordless phones, cell phones & Wi-Fi. 60 GHz transmission provides enough bandwidth to carry uncompressed 1080p video & 7.1 surround sound audio & without interference from other wireless devices. DVDO Air is easy to install too. Just connect the transmitter to the source device & the receiver to the LCD/LED/Plasma display for a quick, reliable, error-free installation that will be suitable for even the most demanding high performance home theatres. 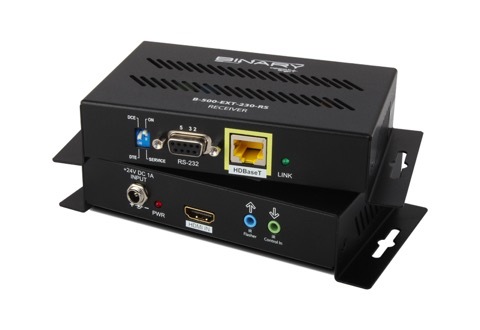 Now when you extend audio and video signals over long distances you won’t sacrifice resolution quality – and you’ll gain control system capabilities – with the HDBaseT™ technology of the Binary™ Single CAT 5e/6 HDMI Extender. This product goes the distance, transmitting up to 4K video and 7.1 channels of lossless audio – up to 230 ft. over a single Cat 5e/6 cable. 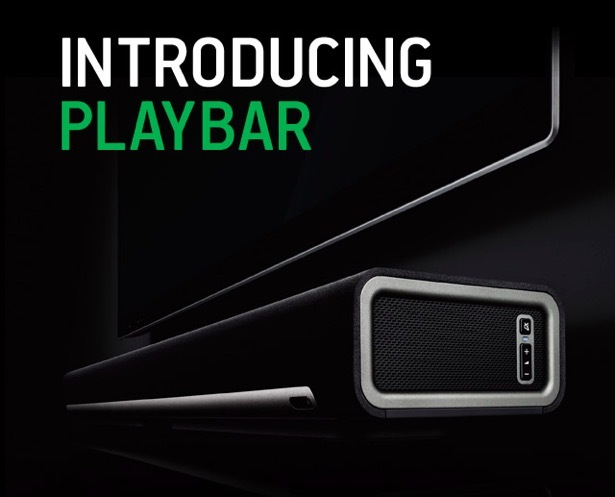 It saves valuable install time, thanks to Power over Cable (POC), which eliminates the need to fit a bulky power supply behind the TV, and “plug and play” technology that bypasses frustrating EQ and EDID settings. And for the icing on the cake, you get robust control system integration that includes bi-directional IR and RS-232. Now that’s a product that packs a lot of punch!